Load bracketed photos and merge them to HDR, with options for automatic image alignment when you've taken hand-held photos, and automatic ghost removal when moving objects or people are present in the scene. You can choose between five Tone Mapping and Exposure Fusion methods to find the style you want for your image, then fine tune it using a large range of settings. Choose from 37 built-in presets to quickly get a particular look, or use them as a starting point for further adjustments. 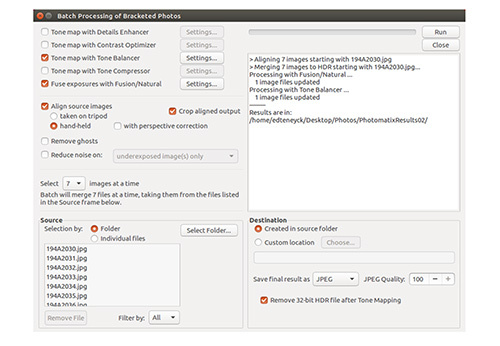 New in version 1.1 You can also create your own presets or import presets created by others. 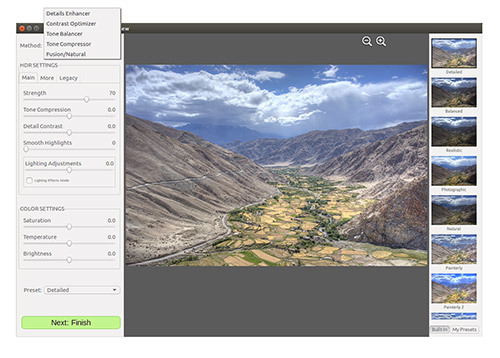 New in version 1.1 Add finishing touches to your HDR image with contrast and sharpening options, or crop it to remove distractions and improve the photo's composition. 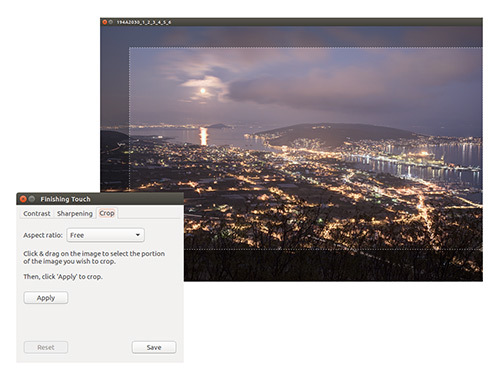 Automate the HDR rendering when you return from a photo shoot, and let Photomatix create the HDR images with your preferred preset and settings while you do something else.